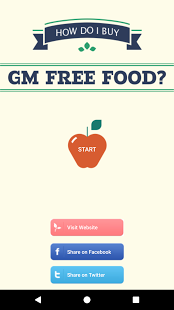 GM food has had its DNA (or RNA) changed in a way that can only happen in a lab. It is totally different to the cross breeding and selective breeding people have done in fields and gardens for thousands of years. Plants designed to survive being sprayed with a weedkiller, usually Roundup, which is a probable carcinogen. Herbicide tolerant. Plants produces toxins that destroy the guts of certain insect that eat them, so they die. Insect resistant. Weeds and pests have evolved to survive these poisons. Now more and more toxic pesticides are being used in the US leading to the death and damage of huge areas of crops. This includes gene editing, CRISPR/Cas9, fake meat and Synthetic Biology (Synbio), gene drives and more that you may have been hearing about in the media. We are still investigating where these may be introduced into our food and if they are here already. Fusion of cells beyond the taxonomic family, that overcome natural physiological reproductive or recombinant barriers and that are not techniques used in traditional breeding and selection"
Genetically modified (GM) foods are foods derived from organisms whose genetic material (DNA) has been modified in a way that does not occur naturally, e.g. throught the introduction of a gene from a different organism. How Does GM breeding differ from normal plant breeding?